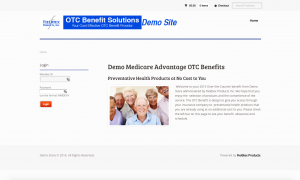 An example of what the 2019 OTC Benefit Program Website product will look like. Their order is then picked, packed and shipped from our warehouse directly to their door. One of the greatest benefits of this plan is that members never need to leave their home to receive their OTC products, which is ideal for those with mobility issues or those who may live in an assisted living facility. 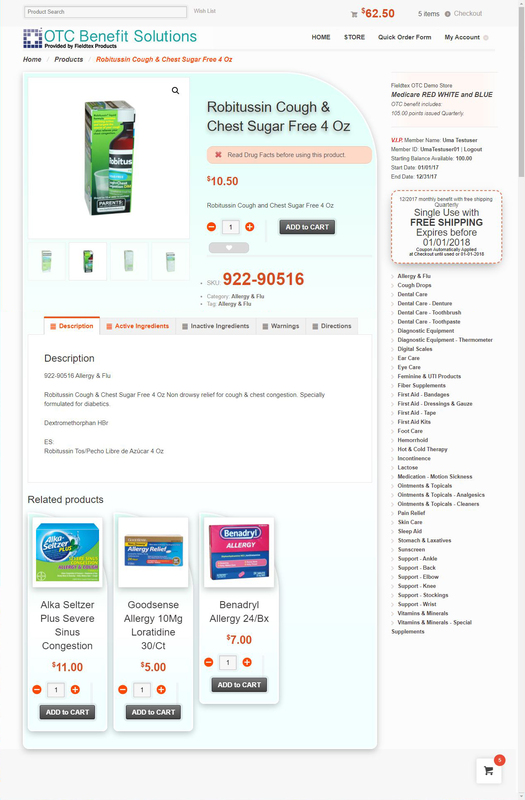 The products are at no cost to the member and the cost of the items that they purchase are billed to the Health Plan. Our OTC Benefit Programs are designed to handle the entire process from ordering all the way through delivery. Click the image above to Visit our Demo Site! Contact us for Login Credentials to further the Demo Sites capabilities. We are happy to provide Health Plans with customized Mail Order Medical Supplies Programs to meet the needs of their member demographic. From specialty catalogs to specific billing, we can offer your members an experience tailored to them. Contact us today and one of our benefit specialists can discuss how we can best serve any membership. Want to see what a store looks like? Contact us and we can give you an account to see how our demo store works!